On October 20 at approximately 10:00 p.m., Calcasieu Parish Sheriff’s Office deputies were dispatched to a home in Moss Bluff in reference to a disturbance involving a gun. While enroute deputies were informed by CPSO dispatchers that the complainant stated the suspect had a semi-automatic rifle and was also wearing a ballistic vest. The complainant also stated they observed the suspect walking around the outside of the home firing rounds. As deputies arrived at the home they witnessed the suspect, later identified as Robert L. Moreau, 36, Moss Bluff, leaving the scene in his truck. Deputies attempted to conduct a stop on the truck, but Moreau refused to stop and lead deputies on a pursuit for approximately 4 miles. After Moreau exited the truck deputies were forced to deploy their tasers and safely take him into custody. After further investigation CPSO detectives spoke with the victim who stated her and her husband, Moreau, were driving home earlier that evening when he threatened to shoot her with a pistol that was sitting in his lap. She then advised detectives a short time after they arrived home she went outside and Moreau followed her with the pistol behind his back and then fired a shot at her and they began wrestling. Detectives were told the couple’s three boys, ages 14, 12, and 10, exited the home in an attempt to get Moreau off the victim. The victim then stated during the struggle the gun fell to the ground and one of the boys was able to unload the gun and get it away from Moreau. At the same time another boy ran in the house and retrieved another gun and ordered Moreau to get off the victim. Moreau ran back into the home at which time the victim and the three boys ran across the street to a neighbor’s home, where they stayed until deputies arrived. The victim also stated to deputies there is approximately 30 guns inside the residence along with thousands of rounds of ammo and additional ballistic vests. 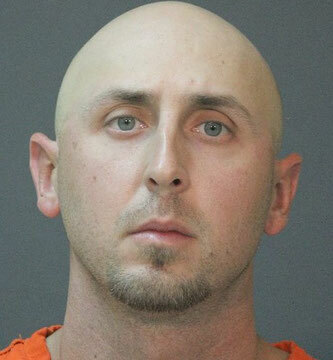 Moreau was arrested and booked into Calcasieu Correctional Center and charged with attempted second degree murder; domestic abuse child endangerment; aggravated assault with a firearm; illegal discharge of a weapon; illegal discharge of a weapon during a crime of violence; illegal use of body armor during a crime of violence; and flight from an officer. Judge Ron Ware set his bond at $247,000.